"Follow through your dreams and anchor yourself in the vision of how you want your life to be. Be brave enough to climb to the zenith of your potentials and possible achievements." 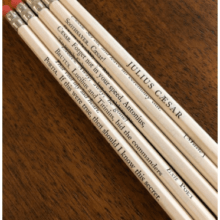 Today is the 15th of March, The Ides of March and we are looking at the unique Julius Caesar Wrapped Pencil Set. 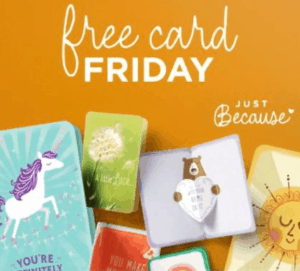 First, a quick reminder today is Hallmark Just Because Free Card Friday Thru March 22 (3-01-2019). In reading This Day in History, March 15, it includes both the Ides of March (44 B.C.) and the movie The Godfather (1972) was opening, I was looking up Julius Caesar movie from 1953 and came across it listing Marlon Brando playing Mark Antony. The set is for ten dollars over at the Etsy bouncingballcreation Shop. 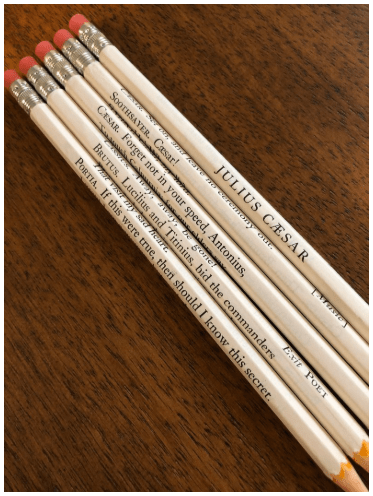 “A set of five #2 pencils, wrapped with pages from William Shakespeare’s beloved classic, “Julius Caesar.” Each pencil has been hand wrapped by myself, and is standard length and sharpened. Please note that the pencils pictured are not necessarily the pencils that you will receive. Three Weeks to go with Countdown to 1500! On April 5, 2019, it will be AnchoredScraps daily blog post #1500 on April 5, 2019! today is #1479! I’m hoping the weather cooperates for what you have going on this weekend. Here’s to staying warm, and consider writing one letter! P.S. Today is Lenten Letters expressing gratitude day 10.